With small and inexpensive RFID tags now available, some stores have taken to placing these on many, if not all of the products in-store. This can help the store to monitor and replenish inventory less expensively than before, and make sure that customers are less likely to find the annoying ‘out of stock’ label on one of your shelves. 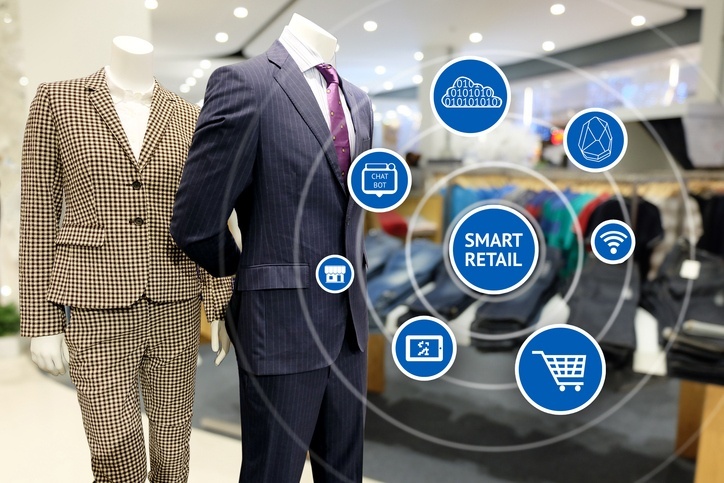 There are other innovative ways that businesses are incorporating RFID in-store to improve efficiency. Some use the technology to trigger product specific videos on in-store screens, as well as to improve conversions and the customer experience. One of the big advantages online stores have over the bricks-and-mortar based retailer is the level of information they can get about the customers that come to their store. Even if you don’t make a purchase from an online retailer they can track every product you have viewed, how long you spent looking at it, and more. The answer for traditional stores is to use advanced sensors to count the number of customers that come into the store. This allows you to identify areas (and therefore products) of high interest, calculate important measures such as conversion ratio, and identify times when you need more staff deployed. A twist on some of the loyalty schemes of the past, combined with new apps and other technologies, personalised offers give every customer a unique experience catered to their taste. Rather than simply creating offers on a whole range of products and hoping to attract customers that way, you can look at the purchase history of your audience and send them offers that are more likely to interest them specifically, boosting customer conversions and revenues, and is a way to improve efficiency over traditional sales events.